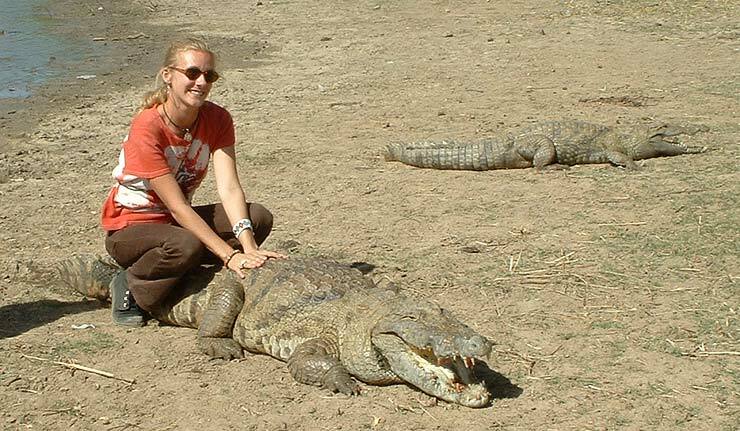 This is not a "former crocodile" as you might suspect, they're for real. The sacred Crocodiles of Paga come out of the water at the call of a native (actually he waves a chicken) and they don't eat you.... can't say the same for the chicken. Actually maybe you can, the chickens don't eat you either.